Here is a list of super essential cosmetics that must be in the makeup kit of each and every lady! With so many new and exciting beauty products flooding shelves, it can sometimes be tricky to know what products to invest in and which products you actually need. There are definitely some basic makeup essentials that every makeup bag, regardless of age, occasion and purpose should have. No makeup bag is complete without these absolute must-have’s. These are the basic essential cosmetics that you must keep, irrespective of prevailing trends and fashions. These 9 essential cosmetics are the bare essentials for a polished look, lending you the perfect canvas to play with colors. A product that minimizes pores and creates a smooth base perfect for the rest of your makeup application. A moisturizer that also offers coverage is a great way to cut down on the clutter, especially if you are blessed with good skin and do not need a primer or foundation. Even if you don’t wear makeup every day, it’s good to have foundation on hand for those times you want to look flawless. If foundation feels too heavy for you, a tinted moisturizer, and BB and CC creams are lighter options that are great for every day. A good blush a non-negotiable makeup item because that color on your cheeks creates a healthy glow and makes you look awake. Besides, a primer can give that washed out appearance to your complexion while blush or bronzer defines your facial contours. If your skin is naturally more tan, a bronzer may look more natural than blush. Also, if you’re naturally fair-skinned, applying bronzer during the warmer months gives you a sun-kissed look without the damages of tanning. It’s best to apply bronzer (with a large, fluffy brush) where the sun naturally hits your face – a curved “C” shape on each side of your face from your forehead to your cheek bone and just a dab on your nose. Choose a mosaic bronzer with multiple colors, and you’ll be able to wear it year round. Dust on the lighter, more highlighting shades during the winter months when you’re paler to give your cheeks a gorge, natural-looking glow, and swipe on the darker bronze shades for an easy summer tan without the sun damage. 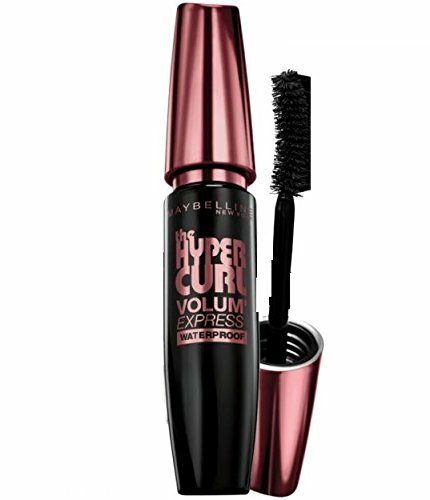 A black or dark brown mascara is essential for an everyday look. It’s the quickest way to make your eyes pop. If you only have one mascara in your makeup bag, make it waterproof. That way, you’ll be prepared for everything, from a pool party to a movie that makes you cry. Just be careful when you’re removing it. Waterproof mascara can be tough to get off; use an oil-based makeup remover so you don’t pull at your lashes. Eyeliner is the best way to define your eyes. A classic black shade is a necessity for most skin tones; if you have fair skin, opt for a dark-brown. Also, light to medium skin tones should consider a dark navy, because the blue makes the whites of your eyes pop; therefore, making you look more awake. Mechanical eyeliner pencils are superb because they are self-sharpening, letting you skip a step. For your basic makeup collection, it’s a good idea to have some natural tan, taupe and pearly eye shadow shades. These shades are perfect for party as well as work looks. Nearly all brands manufacture eye shadow sets with multiple shades in them. These are perfect for a makeup novice, because it takes all the guess work out of finding complementary shades to highlight and define your eyes. 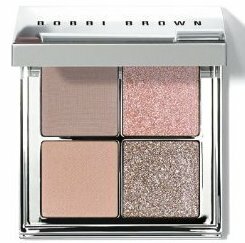 Opt for pre-packed quads – because manufacturers have already done the hard work of matching eye shadows for you. A great balm is a must-have for keeping your lips smooth and healthy, especially during those harsh winter months – or when your lips are chapped. Stock up on tinted lip balms so they can not only heal your puckers, but make them look good while they smoothen your puckers. A swipe of gloss is the perfect finishing touch for any look. For longer-lasting wear, you might winner over lipsticks for college girls. They have a sheer, natural look and are so much easier to opt instead for a lip stain which will last through all your classes without touch-ups. The easiest and most cost-effective idea is to stock up on brushes all at once by purchasing a brush set. A good set should have a large powder brush, a slightly smaller brush for contouring and several brushes for shadow and liner and lipstick application. It’s a good idea to invest in some quality brushes, because as long as you clean them regularly, they will last you a long time. There is help for smudged makeup or quick 30-second touch ups. They go by the name of cotton buds/ Q-tips and blotting sheets. Great for smudging eyeliner and soaking in makeup remover for quick touch ups, super inexpensive Q-tips are must-have. Oil-absorbing sheets aren’t just for oily skin. They’re life-savers for all skin types, especially when it’s hot and humid out and you need to get rid of sweat and oil without messing up your makeup, or caking on more powder. You can also use them as a stand-in for dry shampoo when you’re scalp is feeling a bit greasy. Abracadabra!